Munich | 2018 – Focal rounds off its Utopia III Evo line with the emblematic Grande Utopia EM Evo and Stella Utopia EM Evo loudspeakers. 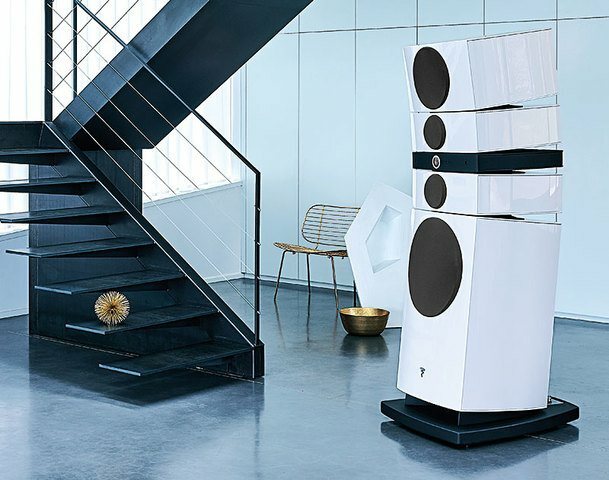 In 2017, Utopia III Evo unveiled the new edition in the flagship line of loudspeakers from Focal, integrating the company’s latest innovations. Today, at the opening of the 2018 High-End Trade Fair in Munich, the French brand introduces the most emblematic high-fidelity loudspeakers of all its Collections: Grande Utopia EM Evo and Stella Utopia EM Evo. The ultimate in acoustics has been deeply engrained in Utopia’s DNA since its creation in 1995. Focal’s leading loudspeaker has always embodied the best the brand has to offer, and is the most accomplished result of the company’s acoustic research. This unfailingly extraordinary line has been revamped to reveal loudspeakers that continue to sit at the forefront of innovation. Since its launch in 2008, the success of Utopia III has spread across the globe, picking up a great number of awards along the way. The line’s DNA is deeply rooted in both the timeless and the modern. research to expand the limits of sound. Innovation is clear to see in the speaker drivers, but also the crossover, the very structure of the loudspeaker and the finishes available. Every detail has been developed yet further to push the limits of acoustic delicacy and transparency. In Utopia III Evo, we once again discover qualities that are inherently out of the ordinary. 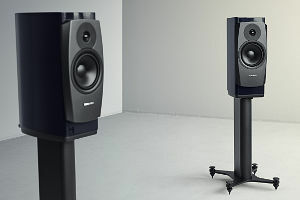 The line’s large loudspeakers now integrate all the research conducted since Utopia III was launched in 2008. 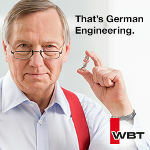 They showcase the brand’s exclusive innovations, particularly in the midrange: the TMD (Tuned Mass Damping) suspension and the NIC (Neutral Inductance Circuit). The structure of the loudspeaker itself has also been strengthened by the new MRR (Machined Reinforcement Rings) system around the speaker drivers. And as the devil is sometimes in the detail… the crossover has been redesigned, the components modified, meticulously selected for a more accurate sound quality. streets ahead of the rest. The TMD suspension: This technology provides a linear frequency response curve between 1 and 4 kHz, while dramatically reducing distortion in this range. The result is a remarkable neutrality in the midrange register. It also contributes to the excellent precision of the overall stereo image. NIC magnetic circuit: Stabilising the magnetic field is a challenge to be overcome in order to avoid harmonic and intermodulation distortion. Research conducted by Focal engineers has enabled them to create an unbelievably stable magnetic circuit: NIC (Neutral Inductance Circuit) technology. The structure benefits from an increased rigidity thanks to the MRR (Machined Reinforcement Rings) system. This is composed of solid aluminium parts machined in the mass, positioned between the front speaker and the speaker driver basket. This sandwich technology is used in the form of rings for the 6″ and 11″ speaker drivers of the Stella Utopia EM Evo, and on the 6″ speaker drivers of the Grande Utopia EM Evo. The 13″ (Stella Utopia EM Evo) and 15″ woofers (Grande Utopia EM Evo) also use segments of solid aluminium. 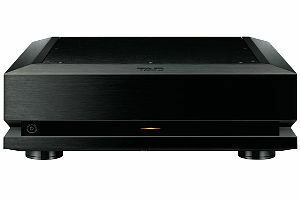 The rigidity of the front speaker is thereby considerably increased in the array area (around the speaker drivers), while benefiting from the excellent dampening of the very thick MDF woofer. With the new speaker drivers, the crossover principle has been redesigned, in a measured and attentive way, to improve sound precision. The quality of components, essential for a very high-fidelity rendering, has also been upgraded. 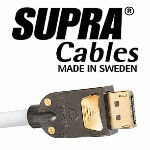 Each component has therefore been selected from among the major current brands: in particular, there is the loudspeaker’s internal cabling, manufactured in France, for an even more natural and transparent sound… The bass register is immaculate, with a new acoustic wadding for an extremely restrained, controlled bass. All the loudspeakers in the line are now offered with new automotive-inspired finishes: Metallic Blue, Ash Grey and British Racing Green, as well as the timeless Black Lacquer and Carrara White. Less conventional colours, with an ultra-sleek finish. The loudspeaker cabinet is fully lacquered, with the front and sides in one single colour. Black makes a comeback in the details, with the baskets and tweeter cabinet in Graphite Black. All these finish choices assure a more harmonious and understated coherence overall, which highlights the originality of the new colours. The silhouette of the Utopia Evo remains unchanged, in a very contemporary revamped style. Grande Utopia EM Evo will retail for $120,000, Stella Utopia EM Evo for $65,000, Maestro Utopia Evo for $32,500 and Scala Utopia Evo for $20,000. They will be available for purchase in September. For more than 35 years, Focal has been recognised as a leader on the global stage for its high fidelity products. 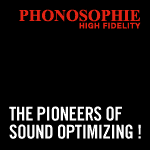 This French company based in Saint-Étienne (Loire department) manufactures speaker drivers, home audio and multimedia loudspeakers, car audio systems, monitoring loudspeakers and audiophile headphones. Some of our loudspeakers and technologies have become world-renowned references in the Hi-Fi industry. In 2017, Focal merged with Naim Audio Limited, the leader of high-end electronics in the U.K. Vervent Audio Group, the resulting holding company, has a turnover of over €92 millions.